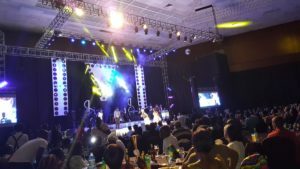 Yesterday 5th May, Serena Hotel was surrounded by hundreds of old skool music lovers dressed in a vintage old manner and later dominated by live classy old hit songs from legendary veteran singers who rocked Uganda in 70s, 80s, 90s, and early 2000s for the Tugende mu Kikadde concert and Flash Uganda media was present to bring you this report. 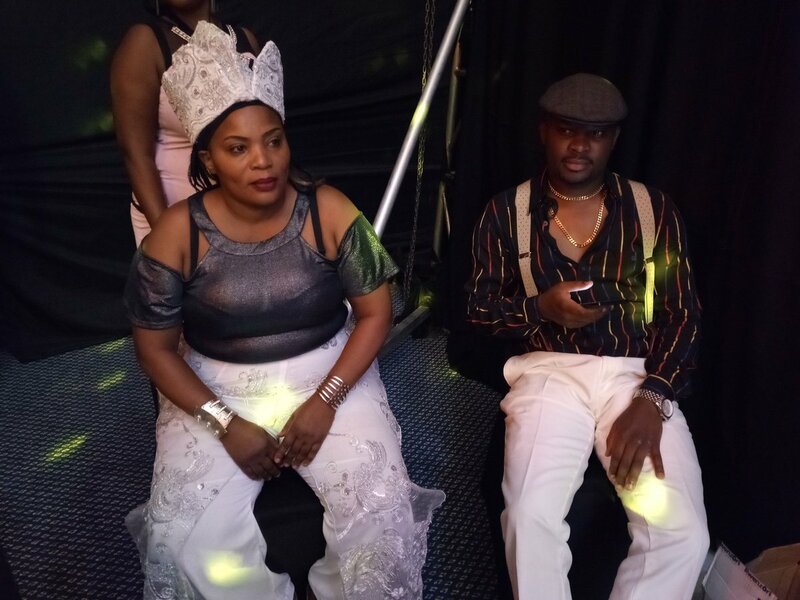 These included Sam and Sophie Gombya who performed several songs and later thanked tycoon Gordon Wavvamuno who encouraged and supported them financially to get married about fifteen years ago. 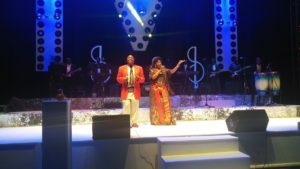 The show started with a dramatic performance from Matendo Band’s Lord Fred Ssebata and wife Harriet Ssanyu who left the revelers craving for more songs. 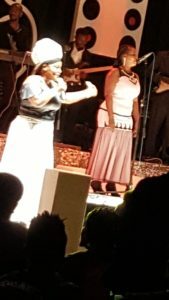 Later in the night, the show received an energetic performance from the beautiful dimpled Chance Nalubega who performed several of her songs and later recommended that women should learn to move on if men disrespect and dump them. She later praised Mowzey Radio who passed on this year whom they had a collaboration Abateesi together. Many rated Nalubega as the best performer of the night and she moved away with hundreds of thousands of shillings. The show further got interesting when the MCs Andrew Kyamagero and Bukedde Tvs Mary Flavia Namulindwa called Bobi wine to perform his akagoma hit song he released close to 17 years ago. The singer performed and left fans crying for more. 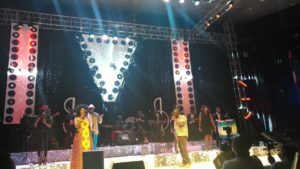 Other performers at Tugende Mu Kikadde included Eddy Yawe who recently quit Afrigo Band who performed solely without the aid of his teammates at Afrigo. 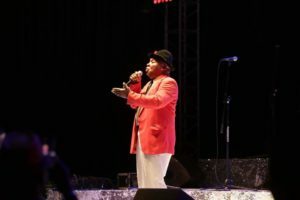 His Tukigale hit song left the audience crazy. 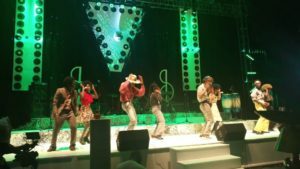 The show was later closed with performance from the legendary Afrigo Band, the leading and the long lasting performing music band in the country. Led by Moses Matovu the band started at a low pace with performances from Joanita Kawalya doing her Jimmy song, Rudeboy and the amazing performance from the multi-talented Racheal Magoola. 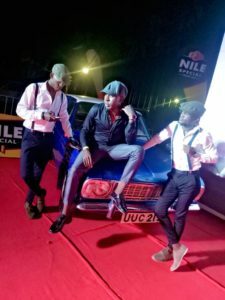 Tugende mu kikadde was attended by prominent personalities like Gordon Wavamuno, Bobi wine and wife Barbie, Anita Fabiola, Lydia Jasmine, Flavia Tumusiime, Angella Kalule, Nubian Li, Ruth Kalibbala and husband among several others. Flash Uganda Media lens were set and here are some of the moments of the night.